It is that time of year! 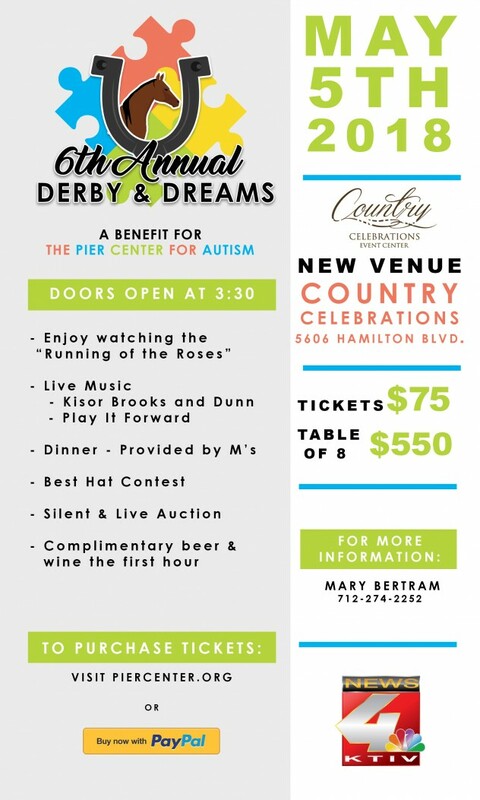 The 6th Annual Derby and Dreams Benefit for the Pier Center for Autism. The event is at a NEW Venue this year. Country Celebrations located at 5606 Hamilton Blvd. ← Amazon Smile Foundation – Support Mid Step Services!